Follow Kristi and Ty on their treks through time to important events, or epochs, in American History. Relive the American Revolutionary War as Kristi and Ty attempt to stop traitorous General Benedict Arnold from sabotaging the American cause in Time Traitor. Then swim across icy rivers with hounds nipping at your heels as Kristi and Ty travel the Underground Railroad with fugitive slaves in Time Underground. Experience the horrors of the battlefields and hospitals of the American Civil War as Kristi and Ty tend to wounded soldiers at the Battle of Antietam in Time to Heal. 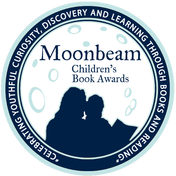 ​Silver Medalist in the 2016 Moonbeam Children's Book awards! Children's Book of the Year Award.